Like most US Greco athletes, Jessy Williams (67 kg, NYAC) is preparing for the Senior Nationals at the end of the month in Las Vegas. That tournament, as big of a deal as it used to be and kind of still is, doesn’t occupy Williams’ brainspace to a large extent. Instead, he cannot help but remain fixated on amending recent errors, or “tweaking”, as he likes to say. Fortunately for him, he is in the right environment and frame of mind to address this priority accordingly. 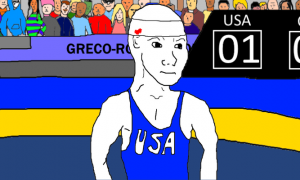 That’s because unlike most US Greco athletes, Williams is training in Sweden where he is able to focus only on himself, and it couldn’t come at a better time. 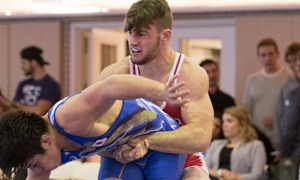 The 24-year-old, once one of Northern Michigan’s most well-rounded prospects, left Marquette in 2016 to head back to his home state of New York and the emerging New York Regional Training Center on the campus of Cornell University. As far as Greco college RTC’s are concerned, Cornell’s leads the pack in terms of both resources and crossover potential. 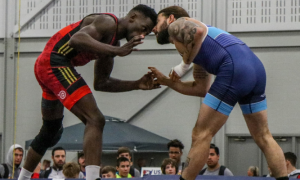 Although the NYRTC might not be overloaded with Greco-Roman practitioners yet, its formation offered Williams the chance to recharge his stylistic approach alongside a host of other skilled wrestlers who possess similar World-level aspirations. The only issue for Williams lately has been consistency. The NCAA wrestling season, having just ended a few weeks ago, obviously reduced some of the bodies Williams had available. To complicate matters further, his go-to man in the room, William Koll, broke his arm at the EIWA conference tournament. But it hasn’t been all bad. Williams got over to Denmark in February where he competed at the Thor Masters Invitational before participating in its accompanying training camp. 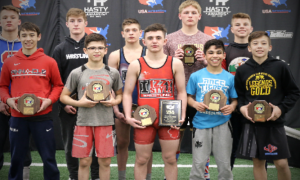 Upon his return, Williams set himself up for the spring schedule, first hopping into the Bill Farrell Memorial last Friday where he nabbed a silver, his highest placing at that event thus far. Next up will be the aforementioned US Open in two weeks followed by the World Team Trials. What makes Williams such an interesting case is the promise that still flows through his veins. While many athletes are content to just bully opponents around in hopes of earning passive points, Williams stands apart as a lock-and-throw type who does what he can to open up scoring positions at every available opportunity. It’s not always a successful game plan at this juncture, but it’s one that is improving. After not earning a spot in the 2016 US Olympic Trials, Williams fought his way to a fourth-place finish at the Senior Nationals eight months later, qualifying for the ’17 Trials (where he placed sixth). Toss in his bronze at the November edition of the Schultz along with that silver from New York ten days ago, and what you’ve got is an athlete who is showing signs of figuring it all out. 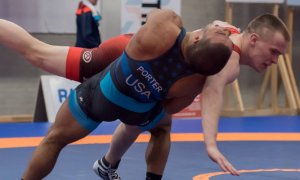 With unflinching honesty, Williams opens up about the challenges he faces as a Greco-Roman athlete at a still-developing RTC, how he manages to work around them (the camp in Sweden is part of it) and above all, why he considers himself to be a legitimate threat to make his first appearance on a Senior World Team come June. 5PM: You already went overseas once this season, to Denmark, and now you’re there again for an even longer duration. Was the plan to get these trips in due to the schedule now that we’re close to the Open? Or would you have done this anyway just to tack on more foreign training for your own continued development? Jessy Williams: Sadly, William Koll got injured at the EIWA, and he’s my main practice partner. I wanted to get overseas because I’m not really obligated to stay in Ithaca. I don’t have to stay for class because I’m not going to school, I’m really just wrestling, so I wanted to get in as much as I can and it fit into my schedule with tournaments and whatnot. I was able to go to Thor’s and train with number one’s, two’s, and three’s from their respective countries who were there at that camp. Then it was coming home to some of the RTC kids who just got done with folkstyle and I felt like I kind of backtracked a little bit. I didn’t feel as good as I should have at NYAC. Like, my pummeling was down because of my lack of partners, with Will breaking his arm and my one other partner being in school and just finishing his first collegiate season, so he took some time off. Out of the two weeks leading up to the NYAC, I only got four mat practices in with a partner, something along those lines. So, coming over here and being good friends with Coach Kim (Holk) over here at Varbergs, he offered for me to come and train. We had this trip all planned out and I was excited, and once Will got hurt, I got ahold of Coach Kim and was like, Hey, I want to stay for two more weeks because I don’t have partners, so if you have guys my size… He had offered for me at Thor Masters to come out and train for an extended period of time. After that camp and getting a good week and half of two-a-days in, I feel like being over here for an extra two weeks will actually help me remember the stuff that I learned, as opposed to going to a clinic and then coming home forgetting all of the little details. Now, I can actually work on those little details, and depending on how these next two weeks go, how the Open goes, I’ll probably be right back over here if they’ll have me so I can train right up until Trials due to my partner situation at Cornell. 5PM: Greco doesn’t have a lot of dedicated training centers in the US. 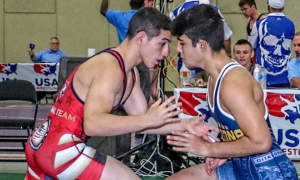 Ithaca is currently the most together collegiate RTC Greco has, so I’m curious as to why and how partners have been a challenge for you and what precipitated this move to begin with. Has that been the biggest adjustment, having to depend on the availability of various partners and those types of things? JW: I grew up an hour and ten minutes from Ithaca, so I’ve known Rob Koll and I wrestled with Will at Fargo and on the same high school state teams, since we’re around the same age. Moving back to Ithaca was more of an easier thing for me because I didn’t know where I was going to go. I didn’t really want to stay at Northern just because I felt like I had enough of being up there, nothing against Rob (Hermann). I’m actually sad I left when (Andy) Bisek got up there because I think Bisek could help me out tremendously. But I am happy I went to Cornell because wrestling with the college kids helped me change my style and make it more mine. Basically, I’ve been doing a lot of the practices on my own, in a way. Ahad (Javansalehi) guides me to the areas he thinks I should improve on, but he works. And when I can get college kids, such as Adam Santoro, Andrew Berreyesa, or Will Koll when he was healthy, we would go in between their class periods during the day and it was basically whatever it was I felt like working on. I would try to help them and make them a little bit better, because they have goals for Greco, as well. But I got to work on things I felt I needed to work on more, personally, and I would make the sessions just for me. How they do it at Cornell is a lot of privates, the college kids do privates to try and work around class schedules. I think because the NYRTC is just starting up, we had a lot of heavyweights and now we’re down to only two. People come and go. We’re trying to recruit, but it’s hard. A lot of it is people are trying to go to school. You get school done and if you want to do collegiate (wrestling), Cornell is a very hard institute to get into. It’s hard school-wise and wrestling-wise, so it takes a certain athlete, and it’s school first, wrestling second, and there is a lot of classwork to do. So I don’t blame them for taking a couple days off, I can understand that. Their class loads are unreal. But we’re trying to get some people to come in. We’re trying to make it an RTC with other athletes like myself, but I’ve been traveling around a lot. I went and trained with the Marines for two weeks a couple months ago because they have a bunch of guys my size. I did go back to Northern for a week to visit. I went over and saw Joe Uccellini for a weekend so I could work with him. I’m just traveling around until we can get someone to come to Ithaca. Cornell has been good. It’s close to home, I can go home all the time and see my family, which I didn’t really get to do in high school or college because I was always wrestling. I have a little more free time now. 5PM: On one hand, it doesn’t sound completely ideal to have to formulate training plans around athletes, coaches, and their schedules. But on the other, it also sounds like there is an advantageous element to this. You’re getting in different rooms with different looks plus you’ve had these overseas trips. Maybe the silver lining is that you’re finding yourself in training situations you might not have been in if everything was more static up in Ithaca. Sometimes, guys think their rooms are so good that they never leave, which can hold people back. JW: I definitely have seen it that way, getting to go to the Marines and getting to travel all over. I mean, I’m in Sweden for three weeks. How many 24-year-olds can just leave and go train in Sweden? This is probably something I’m going to remember for the rest of my life. I’m meeting great people, I’m making a bunch of new friends. It’s not that they’re just great practice partners and giving me a lot of different looks. Coach Kim is designing some of the practices specifically just to help me get better. It’s a great experience overall, for wrestling, for life, culture — everything. I like that I get to travel a lot, it’s just that it costs money. I don’t make a lot of money. I don’t currently have a “job”, though the NYRTC and NYAC do help out a lot. But at the same time, I’m still living paycheck to paycheck. I work odd jobs and and I’m trying to start up a personal training company online so I work from various locations, but it’s still hard. My parents still help me out a lot, and I really didn’t want to be in that position. I feel like the Marines travel a lot and their guys make money, the Army travels a lot and they make money, so those are two scenarios there that are better than the one I’m currently in. Also, yeah, the NYRTC is still in the developmental stage, at least for Greco. While we were at Thor Masters, Coach Ahad was talking to the Danish team and some of the other teams trying to get them to come over to Ithaca to do a training camp over the summer. We’re trying to get some other people to come over because he’s friends with them from when he wrestled. We’re trying to get the Swedish kids to come back over again, they just went to New York for the Mohawk Valley Wrestling Club. Then they came and saw us because Cornell is a big deal all over the world. There is a silver lining. I got to explore and see some friends I haven’t seen in awhile, like Joey DeNova, who is basically like my older brother. I got to go down south and hang out with him while I was training with the Marines, so that was nice. I’m living life, you know? I’m a broke post-grad with no job, but I am still getting to do a lot of things. I just wish I could find something where I could be financially stable on my own and still be able to do this kind of stuff, but I think everyone wants to do that. 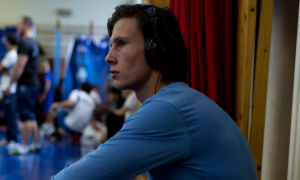 But hopefully, we do get some guys at the RTC to where even if I do come over here (Sweden) for three weeks, if I get a main partner, he can still practice with the NYRTC kids or he could come with me. To be honest, right now just because of where I am in the sport, I really have to focus on myself and be a little selfish with everything. 5PM: While you were at NMU, you were considered a very good prospect and that hasn’t changed. On the same token, I’m going to assume that some of your results at the last few domestic events haven’t met your expectations. Even still, you’re a legitimate contender at 67 kilos. The question is, do you feel that way? Do you believe you’re a problem for your former teammate Alex Sancho, Ellis Coleman, and those types? Or do you feel you still need to ripen on the vine a little more as we head into the Open and the Trials? 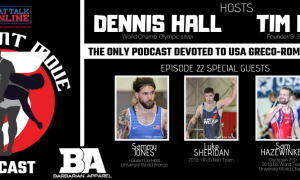 Jessy Williams: The match with (Ray) Bunker (in the Bill Farrell Memorial finals), I was a little messed up mentally the two weeks before with the passing of Aghasi Manukyan. My diet was bad, and I just didn’t go into that feeling good at all. But now it’s getting my head on straight for this next month and then the two months between the Open and the Trials. The Open is the tester, the feeler, to get out there and see what I can do, see what happens, and then correct the mistakes before I go to Trials. I technically don’t have to go to the Open, I already qualified for the Trials. But I want to go in there and try everything, try my moves and make it so I can get to my positions. Against Bunker, I didn’t get to my positions. I have my few things I can get to that I feel are specific to my style, and then get on top. My goal is to get on top and get my lock. Obviously, I didn’t do that (in New York) and so that’s why I am out here, to fix those things. To tweak a couple more things and stay in shape, get on track, and make a run for that spot. In my head, I think I can do it. I mean, why else would I still be doing this? If I didn’t think I could do it then I should just retire and continue on with my life, get a job, or go to grad school or something. But I think I’ve got a good crack at for this year, and if not, then I’ll just fix the little things and go right back at it for the year after. And then we get ready for the big show the year after that. Really, these next two years are the “tweak” years. Thor Masters was a tweaking. This is tweaking, this is fixing the little problems and I’ve got people here who will help me fix the little things I need to get better at, whereas at Northern, you can’t get as specific as you want. At Cornell, I can get more specific. I’m trying to do that, that’s what I am in it for. That’s why I’m here and I think I can do it. Follow Jessy Williams on Instagram to keep up with his career and competitive schedule.